The No. 23 Team Seattle/Alex Job Racing Porsche 911 GT America combined mistake-free driving from Mario Farnbacher (Germany) and Ian James (Phoenix) and a key pit stop to propel them to a second-place GT Daytona (GTD) class finish in the TUDOR United SportsCar Championship on the Belle Isle circuit here. The next best finishing Porsche was the Alex Job team car – the No. 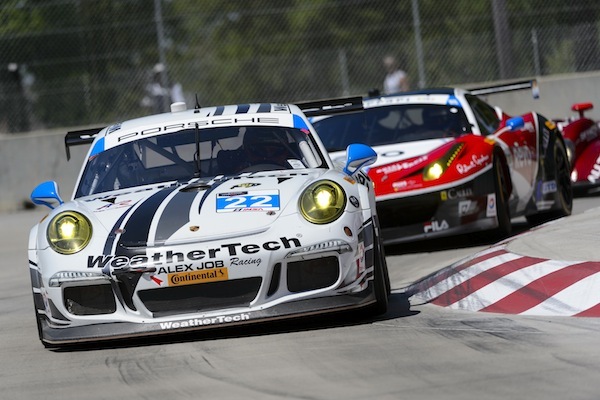 22 WeatherTech Porsche 911 GT America driven by Leh Keen (Atlanta) and Cooper MacNeil (Hinsdale, Illinois) – which finished fifth despite having to stop under the green flag to replace a door after scraping the wall. 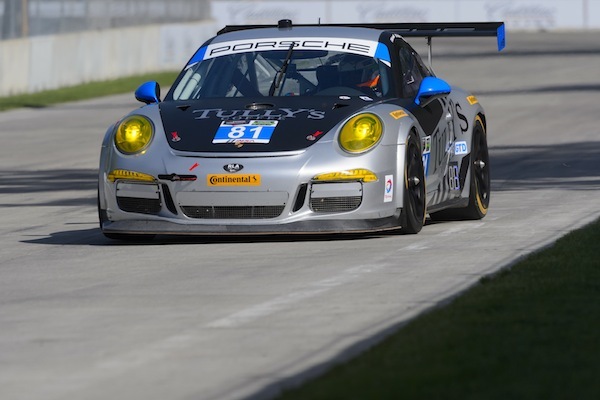 Other top ten Porsche 911 GT America finishers included the No. 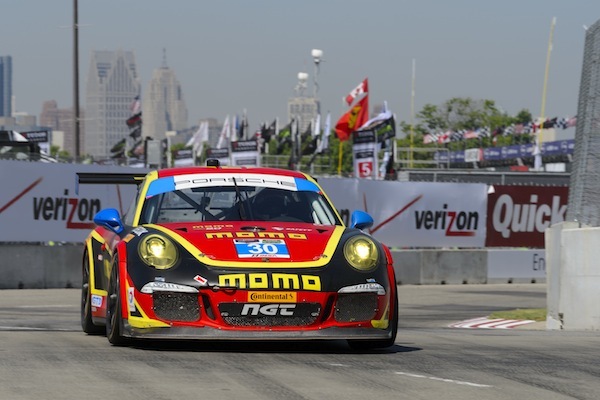 18 Muelhner Motorsports America Porsche of Sebastian Asch (Germany) and Tomy Drissi (Hollywood, California) – who finished seventh despite a late-race penalty for passing under the yellow flag. For Muehlner, this was the team’s best finish of the season, and an alternate pit strategy – staying out when others pitted for two successive yellow flags - kept Drissi in the class lead for almost half the race. The No. 58 Snow Racing Porsche 911 GT America, now being prepared by Dempsey Racing, driven by Jan Heylen (Tampa, Florida) and Madison Snow (Lehi, Utah) finished tenth. Eighteen-year-old Snow, who will graduate from high school next week, and Heylen were only 12 points out of the driver point lead going into the event. The No. 81 Tully’s Coffee/GB Autosport entry spun into the wall; the No. 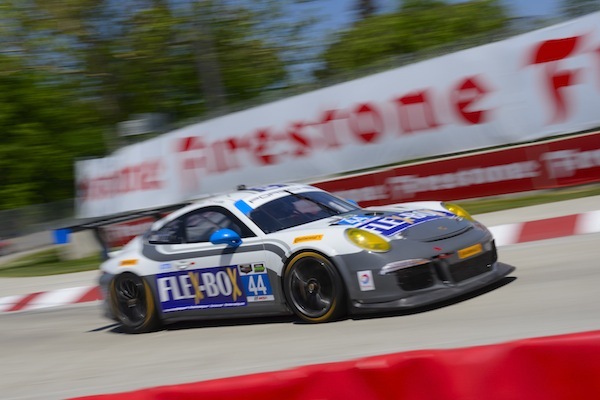 30 NGT Momo car, crashed hard early in the race; the No.44 Flex-Box Magnus Racing Porsche was penalized after losing its mirror against the wall; the No. 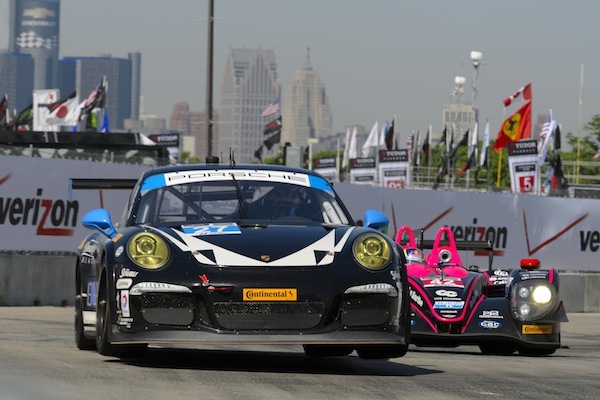 73 Park Place Motorsports team, crashed after suffering a punctured tire; and the No. 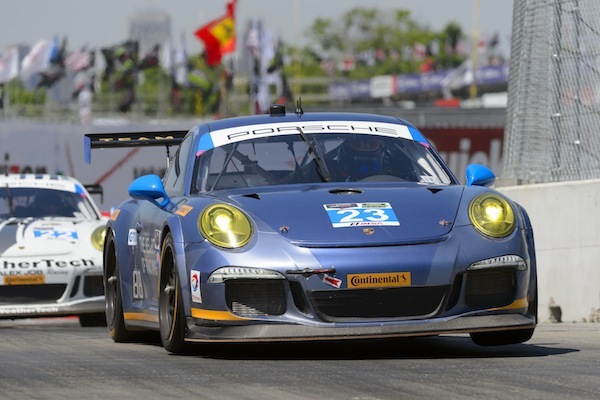 27 Dempsey Racing Porsche 911 GT America, suffered a battery problem. 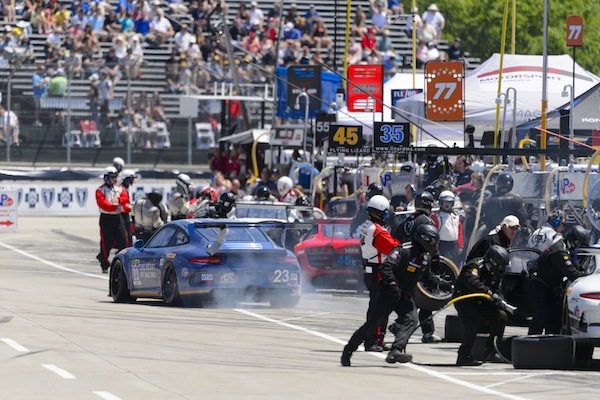 The next race of the 2014 TUDOR United SportsCar Championship schedule is June 28-29 at Watkins Glen International in Watkins Glen, New York.